Na Nach Nachma Nachman Meuman: This is how NA NACHs fight !! This is how NA NACHs fight !! This is how the Na Nachs fight! I draw inspiration from those that fight the source of all EVIL the Kremlin! May G-d inspire them to send us Rabbi Nachman, in which case I Swear they will become the worlds leading nation (Jerusalem has a special status as Cohen of the Nations). 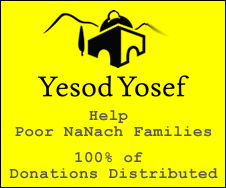 Public offer to open negotiations needs to be made between Maiden and the Beit Ha Nassi. Israel will respond generously. The Kremlin represents only the Devil, Jerusalem doesn't have the option to negotiate with this party. Even in the case of saving Jewish "hostages" when no alternative exists, there is an error because the bones of Rabbi Nachman, is the hostage that liberates all hostages! No dialogue with Moscow is needed anymore this is strictly an issue between friends! AND you can be sure Airforce One will contribute the transport giving more prestige to the operation. Ukraine’s military isn’t up to the task of fighting off pro-Russian separatists itself. So ordinary citizens are picking up the slack.